Here is another delicious recipe to try out from the super grain - Quinoa. 1. Knead the quinoa flour adding the finely chopped greens, salt and about 2 tbsps oil. You can skip chillies if kids are eating. 2. Roll out rotis. The texture of the dough will be like rice flour. If you find it difficult to roll you can do that in between a plastic sheet. 3. Lift with a spatula carefully and roast it on a griddle/tawa. Spoon a little ghee or oil while making. Serve with any curry/ chutney / pickle. Click on the name to see the recipes. that is so delicious and healthy!! bookmarking it!! Very healthy and yummy roti. simply delicious and pretty looking and easy to follow. bookmarked with thanks. Delicious & healthy roti. New variety. 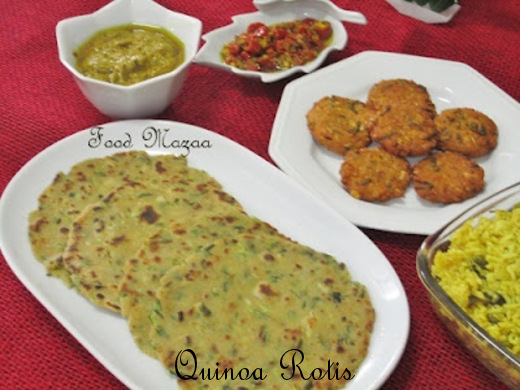 Healthy and filling roti..Very flavorful with spring onions..
Sure Divya.. you are most welcome. Healthy rotis, cant wait to make some soon. 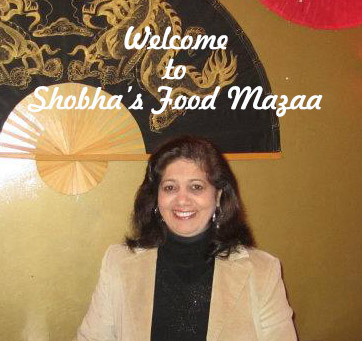 Delicious and healthy rotis Shobha.